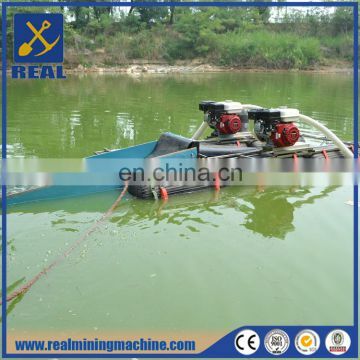 All of our gold dredgers are designed according to the customer's needs and in the assistance of high -tech, The gold dredger is paved with a new type of rubber mat to ensure the efficient of gold recovery. 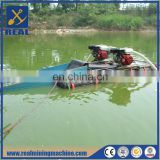 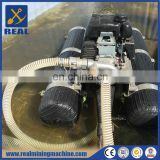 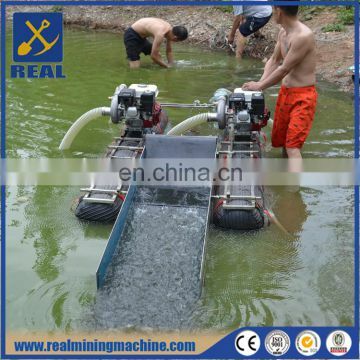 For experienced prospectors, usually require convenient carrying, outstanding effect, so this gold dredger is an ideal equipment. 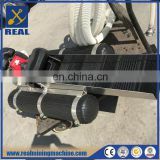 The floating system can operate in a variety of conditions, including deep and urgent water conditions. 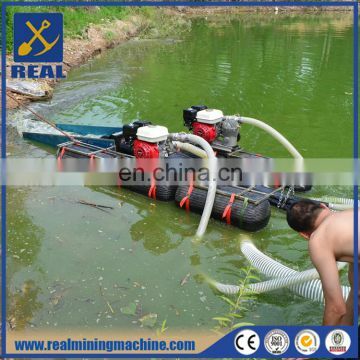 According to your needs and budget ,we provide you with the corresponding engine and air compressor. 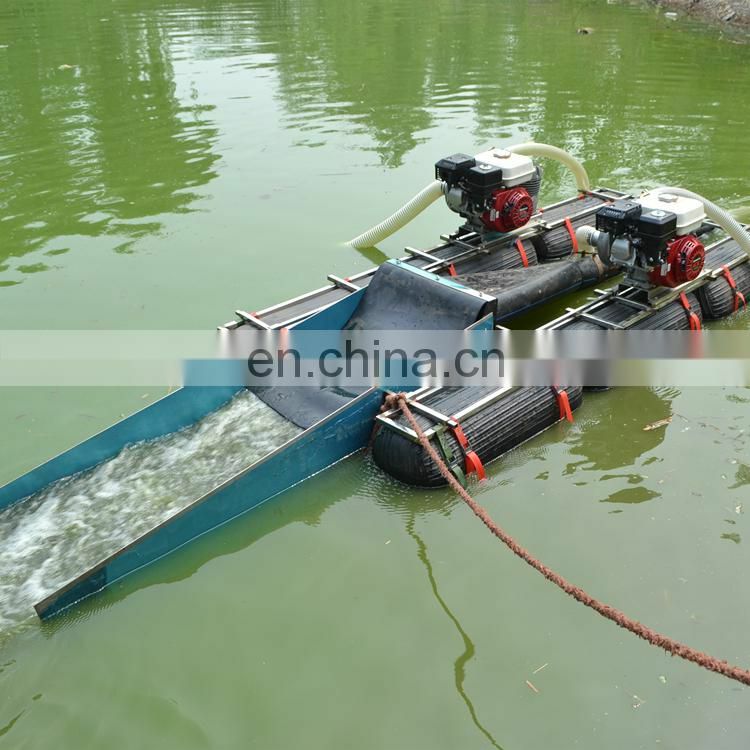 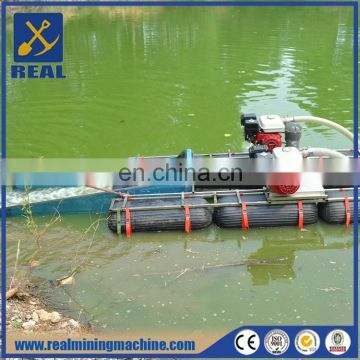 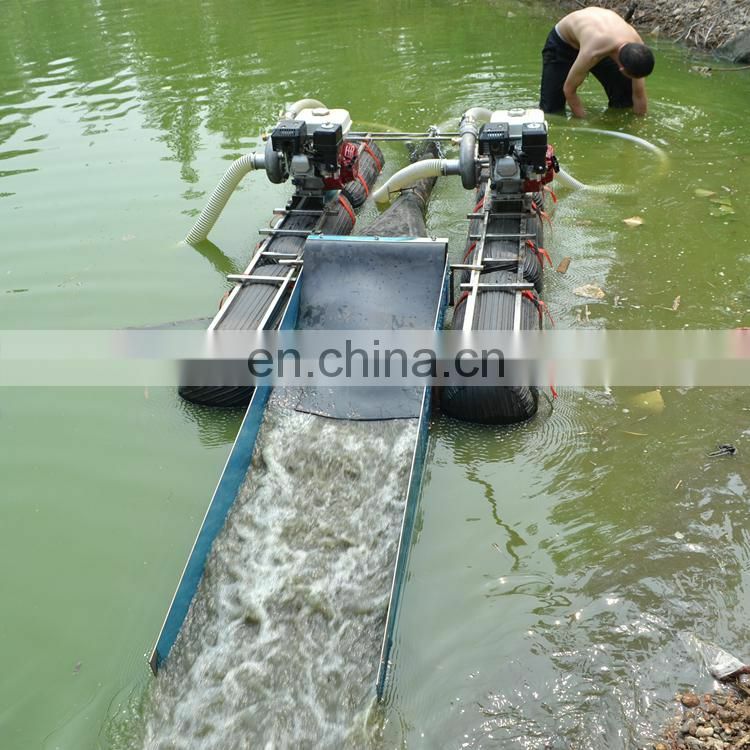 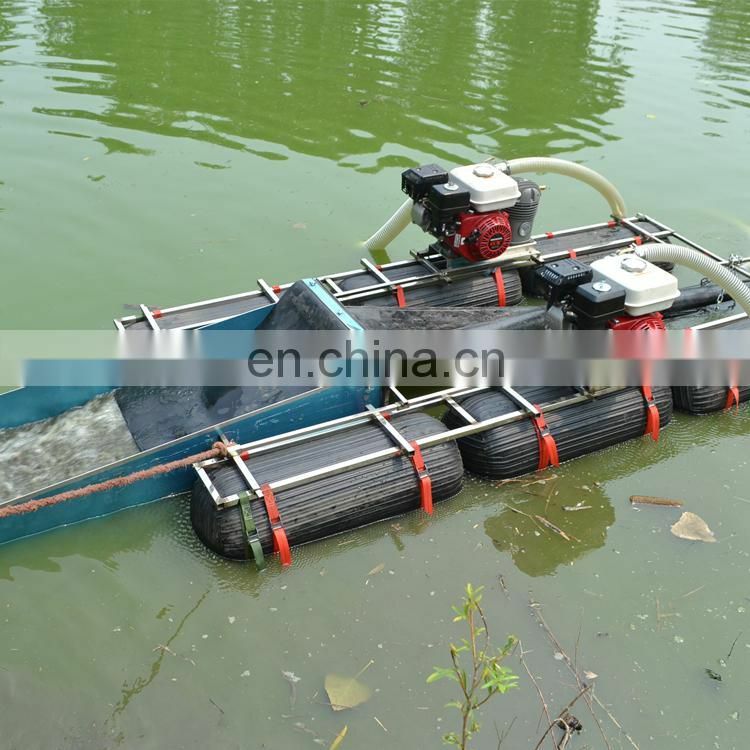 This is a powerful multi function 5 inch gold dredger,drived by two sets of 6.5Honda engine, the small engine can easily be transported to remote areas, can also be applied to other devices, such as higher working table and smaller gold dredger. 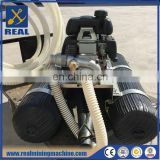 The sister- engine configuration has been popular in recent years,an KAC Air compressor can be used for two divers. 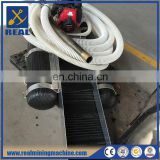 Detailed Specification please contact us. 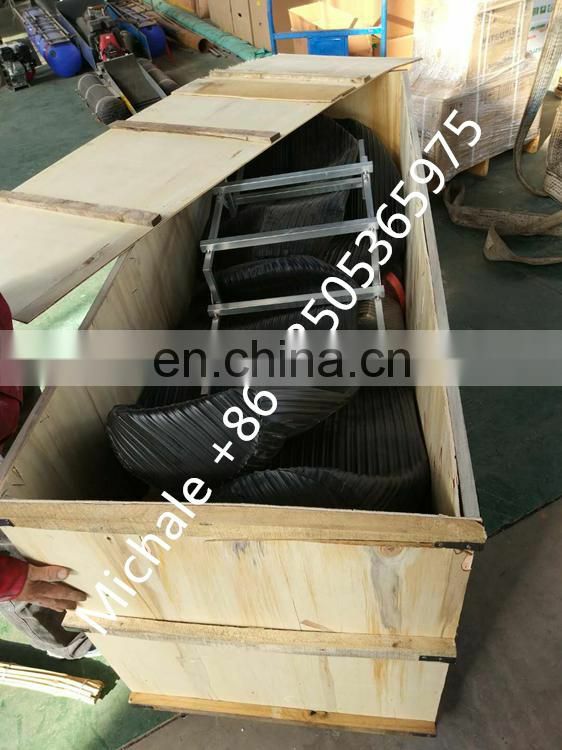 Shipping depend on quantity,large quantity send by full container, small quiantity usual send by less than container load or DHL/FedEX/EMS express. 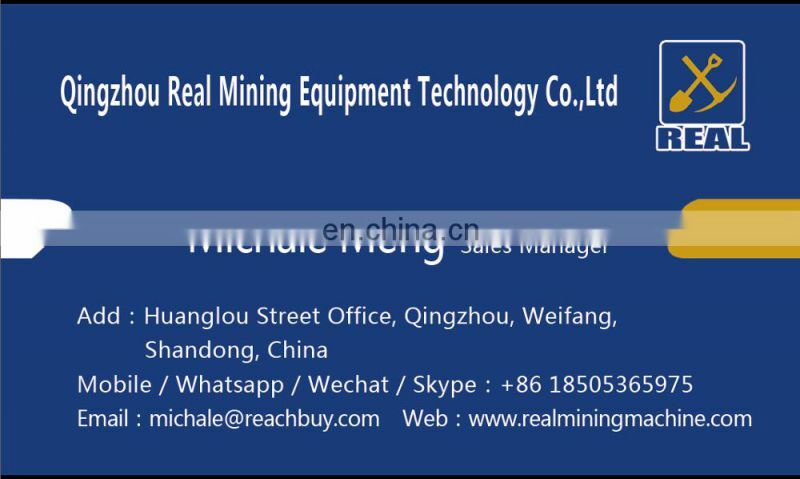 Thanks for your kindy attention,any needs please feel free to contact us.